Thanks to Midge Raymond and John Yunker, owners of Ashland Creek Press, for the Q&A. Midge has more than twenty years of experience in writing, editing, and publishing. In addition to being a published fiction writer and journalist, she has worked as an editor and copywriter with several New York publishing houses, including Penguin and St. Martin’s. Midge is also the author of the novel My Last Continent and the award-winning short story collection Forgetting English. John has a bachelor’s degree from the University of Missouri School of Journalism and a master’s degree from Boston University. In addition to being an analyst and consultant in the technology industry, he has worked for several publishing companies and is experienced in publishing books in a variety of e-formats. John’s novel The Tourist Trail began as a short story by the same name and won the Phoebe Journal 2010 Fiction Prize. He has also published fiction in Flyway and nonfiction in Antennae. Learn more by visiting John’s website. 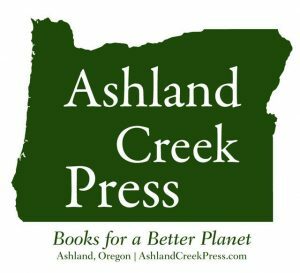 Together, Midge and John founded Ashland Creek Press, which is dedicated to publishing books with a world view. The two are passionate about the environment, animal protection, ecology, and wildlife, and their goal is to publish books that combine these themes with compelling stories. Their books have received critical acclaim from Publishers Weekly, Library Journal, Booklist, and Kirkus Reviews, among others, and have been recognized by national award juries, including the Chautauqua Institution and the Lambda Literary Foundation. Mary: What did you do before founding Ashland Creek Press, and what were your visions for the press? John: We met many years ago in Boston and worked in New York in publishing. We’re also both writers and have a passion for animal protection and environmental issues. Ashland Creek Press allows us to pursue our passions and also give back. We’ve since established a small foundation that gives back to organizations such as Mercy for Animals, the Southern Oregon Land Conservancy, and others. Midge: When John’s novel The Tourist Trail went out on submission with an agent in 2009 and was unable to find a home, we felt that there had to be more environmentally themed books that had similar trouble; this was also during the recession, when large publishers were taking fewer chances with new authors. John’s novel was among the first books we published, and when we opened for submissions, we discovered many more wonderful books. 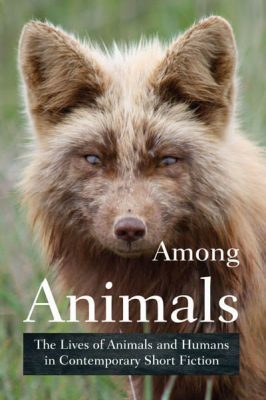 Some of our authors have published with Big Five publishers in the past; some are first-time authors; others are looking specifically for a press that reflects the environmental/animal themes of their work. We’re always amazed by the high quality of submissions we receive, both from agents and from authors directly. Mary: How many books are you publishing a year, and is it true, like many claim, that it’s hard to run a small publishing company? What are some of your favorite experiences thus far? John: We aim to publish 3-4 books a year. Last year was slow because Midge’s novel came out and she was on the road promoting it. But we’ve got three books planned for 2017 so far. Even though three books may not seem like many, a great deal of work goes into each book, well before and well after publication. We send out countless review copies in the hopes of reviews and media coverage, and it’s not easy competing with the large publishers. But we’re persistent and we’ve have good luck so far. Our books have received glowing reviews from PW, Kirkus, and Booklist, and a number of our books have been adopted by universities, including Among Animals and Balance of Fragile Things. And The Names of Things was a finalist for the Chautauqua award, the only small press book to make the cut. We’re also quite proud of our Siskiyou Prize for New Environmental Literature. Now in its third year, the press is helping to push environmental literature forward. Midge: As writers ourselves, we understand what goes into the process, whether it’s a short story or a novel, and having been on both sides of the fence — from editing to being edited, from to creating a marketing plan for an author to being the author who’s out on tour — helps a lot in our relationships with authors. And having promoted our own books over the years, we’ve learned that there are so many ways to market a book; we do all we can as publishers and then help authors find the ways that they enjoy most to promote their books as well. Running a small publishing company is a challenge — from trying to find readers to competing with bigger publishers for publicity to trying to stay afloat financially, it’s definitely not easy. It’s important that for us, it’s a labor of love above all else — we do other work so that we don’t have to sacrifice quality and our vision in order to ensure a certain income, and so that we can pay authors as much as possible while keeping the press going. 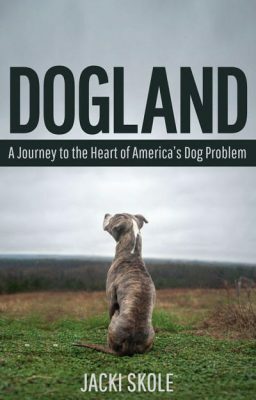 There are so many moments that make it worthwhile — when authors receive copies of their books for the first time, when a book wins an award, when we get a terrific review — but most of all we love that we are able to bring beautiful, important books focused on our planet and its creatures out into the world. Mary: As a small press owner, I get where you’re coming from. Many writers I’ve gotten to know rue the fact that publishers often do not want to publish novels that have environmental themes. Can you talk about the kinds of fiction you accept and don’t accept? 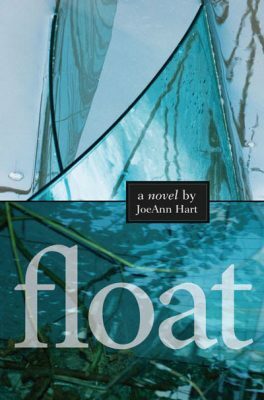 John: Getting published isn’t easy, regardless of the topic, but environmental fiction can be a particularly challenging sell simply because there is no “ecofiction” shelf in bookstores or libraries. Because this field is still emerging publishers can be more hesitant about committing, but I think the fact that Midge’s novel My Last Continent found a home with Simon & Schuster is a positive sign that large presses are becoming more open to environmental novels. As for Ashland Creek Press, we tend to focus on animal-centric literature, fiction and nonfiction. We are strong animals rights activists and want to publish novels that depict a world in which animals are protected. Needless to say, we’re not eager to look at books about hunting or fishing, unless they are intended to show the inherent cruelty of these pursuits. Mary: Thank you for helping to fill the void in environmental fiction publishing. Please tell us any news about your most recent novels. Midge: My Last Continent was released by Scribner (an imprint of Simon & Schuster) in June and was a July Indie Next Pick. It was also published in Australia, New Zealand, and the UK by Text Publishing; it was published in France in November and is forthcoming in several more countries next year. And the paperback version will be out in the summer of 2017. John: My novel The Tourist Trail continues to find new readers, which is really amazing given that the book is six years old. And I have a new novel that I recently completed, also an environmental novel. Mary: Sounds exciting. What kind of future are you each envisioning, both as publishers and authors? John: Despite the recent election I’m quite optimistic about the future. I think we’re going to see a re-energized environmental movement take hold over the next few years. Midge: The election has already galvanized people to come together to ensure that we don’t lose momentum on many important issues, and the environment is one of them. I think we’ll see the arts play an ever-increasing role as people express their concerns about the world in general and the environment in particular. Mary: Anything else to add? John: We offer free PDF samples of all our books. Visit our website and click on any book to download a sample. And join our mailing list to learn about new titles, special book discounts, and submissions opportunities. Mary: Sounds wonderful. Thanks again, and I hope we keep in touch. 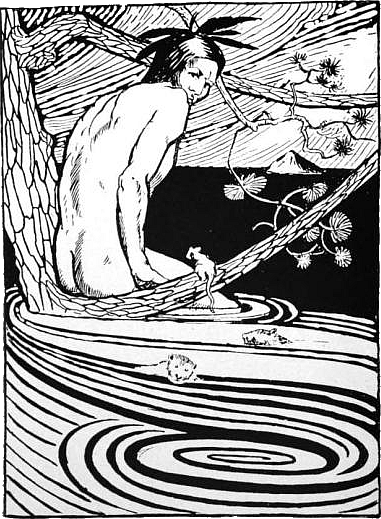 You can also find a few extracts from Ashland Creek Press novels over at Eco-fiction’s Green Reads.